Corin an Fol, Longswordsman and ex mercenary has but one objective: retire early and settle down. Unfortunately the gods have other ideas. When Corin arrives home after many years fighting foreign wars, he finds bad news waiting for him. The High King has been murdered and his crystal crown, the Tekara, destroyed. The Tekara is no ordinary crown. Wrought of solid crystal it contains a charm of strength that has protected the Four Kingdoms for millennia. But the Tekara is vulnerable to one thing: treachery. So when Caswallon the schemer secretly places the crown on Prince Tarin's head he knows it will shatter, causing the realms to fall apart. He stands to gain as soon as it breaks. 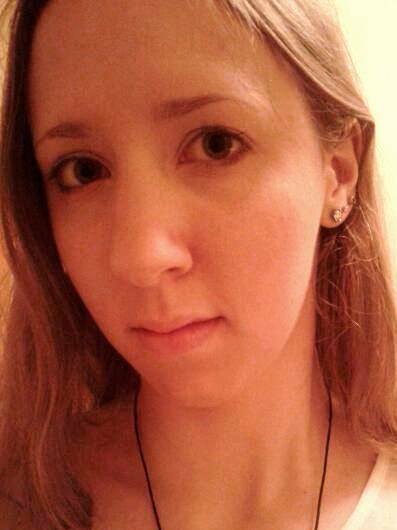 Though many suspect Caswallon, who is known as a sorcerer, only one dares stand against him: Queen Ariane of Kelwyn. She is visited by her goddess in a dream who warns that Prince Tarin has fled with the shards of the Shattered Crown, and only by finding both Prince and Crown can the Four Kingdoms be saved. After being promised gold, Corin an Fol reluctantly joins the queen's desperate quest to salvage the missing shards. But Caswallon is on to them and already watching their every move. I have a deep-rooted love for fantasy stories set within such beautiful, well-crafted worlds. The detail in the descriptions within this book - of setting, character and plot - are absolutely stunning. You can see everything the author describes perfectly in your mind's eye; you even begin to feel as though you are in their world yourself as the real world melts away. That was the main draw for me with this book. I find a lot of fantasy of the sword and sorcery genre to be very repetitive and quite uninspiring, especially when it becomes difficult to tell one book apart from the next as they are so similar. 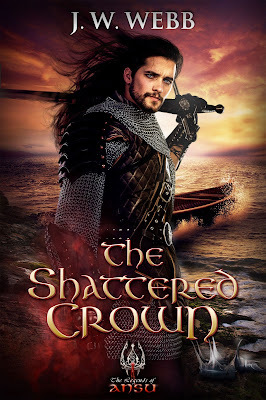 Luckily, I didn't have that problem with The Shattered Crown and I really enjoyed the book. Our main character, longswordsman and former mercenary Corin an Fol, is the epitome of the reluctant hero. This makes him a great character, though, as he is a well fleshed-out and flawed character. We empathise and relate to Corin, willing him to success throughout the novel. Another thing I enjoyed was the author's writing style. It was clean and precise, getting exactly to the point while still maintaining the high level of immaculate description, which is really hard to do successfully. I'm looking forward to reading more from J.W. Webb, not least the other books in the Legends of Ansu series, in the future! The Shattered Crown is available to buy now.